Prescriptions for opioids have increased dramatically in the past decade, as more and more patients with chronic pain are becoming dependent on drugs to control their symptoms. But a growing body of research is casting doubt on the effectiveness of using opioids to manage chronic pain. Just this month, two new studies showed that opioids can lead to worse outcomes in patients with chronic back pain and fibromyalgia. To investigate the effects of opioids on brain injuries, researchers from the Medical College of Wisconsin compared treatment outcomes in 101 patients with TBI. They evaluated patients for their intial pain levels, opioid use, and psychological status. After four months, the majority of patients (79%) had developed chronic pain, and a quarter of those patients were still taking opiates.People still on opiates had significantly worse pain, life interference, depression and anxiety than people off the drugs. Despite their continued reliance on opioids, these patients did not experience any additional pain relief from taking the medications. "These findings bring into question the appropriate use of opiates for chronic pain and the possible exacerbating effects on pain and psychopathology in traumatically injured patients," the authors concluded. 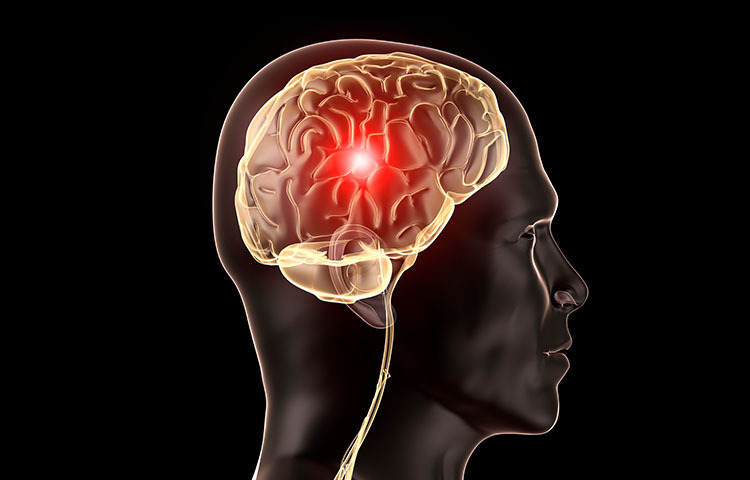 Patients with brain injuries may also be more susceptible to substance abuse, which could increase their risk of developing an addiction to prescription painkillers. Trevino CM, et al. Does opiate use in traumatically injured individuals worsen pain and pyschological outcomes? The Journal of Pain 2013; 14(4): 424-430.